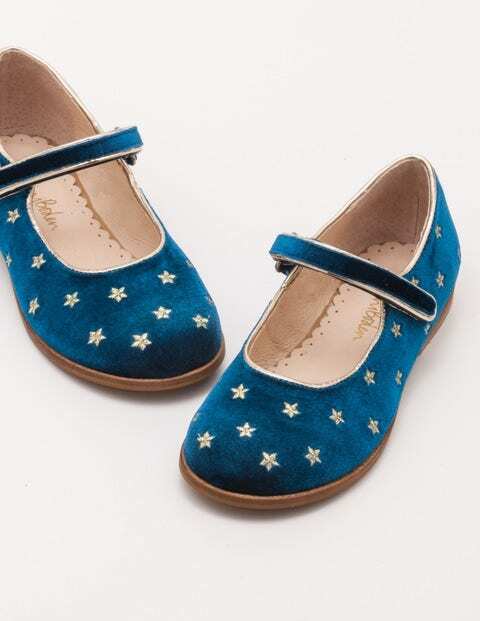 For twinkle toes in a jiffy, slip on these Mary Jane shoes. The sparkly bindings and luxurious leather lining help make every outfit extra special – whether teamed with everyday dungarees or tights and that party dress. With handy touch and close fastenings, they're easy to pull off when the dancing's done.